Radiation oncology physicians, nurses and radiation oncology therapists on the front line of patient care are well aware of the benefits of Calendula as a plant-based alternative for radiation burn skin care and as an alternative to traditional creams to relieve the skin side effects of radiation therapy so patients can better tolerate their treatments. 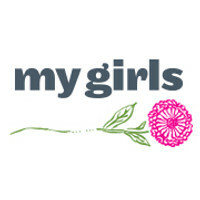 Because My Girls™ Skin Care contains 10% Calendula Officianalis Extract; more than homeopathic creams and lotions, plus rose petal extract - a natural herb also with anti-inflammatory properties, it has developed a following among radiation oncology clinicians and breast cancer patients and others whom suffer from skin side effects of radiation therapy for cancer. With advancements in the delivery of radiation, skin side effects may in some cases be reduced, yet radiation dermatitis remains one of the most common side effects of radiation therapy. This condition can affect a patient’s quality of life both during and after treatment so managing skin side effects during and after treatment is an important part of quality of care. Learn more by clicking here for clinical research and reviews.